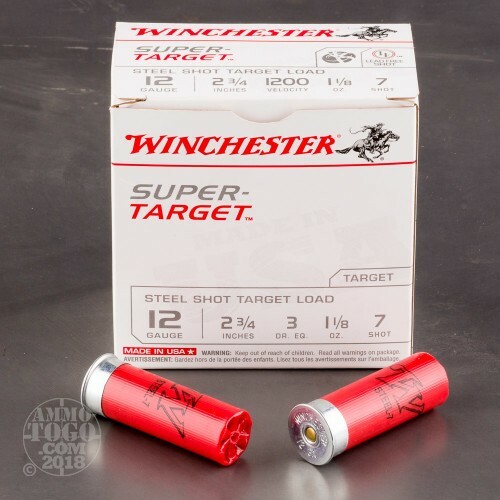 These 12 gauge rounds from Winchester's "Super Target" line are a fantastic option for clay shooters who want a load that is dependable, yet economical. 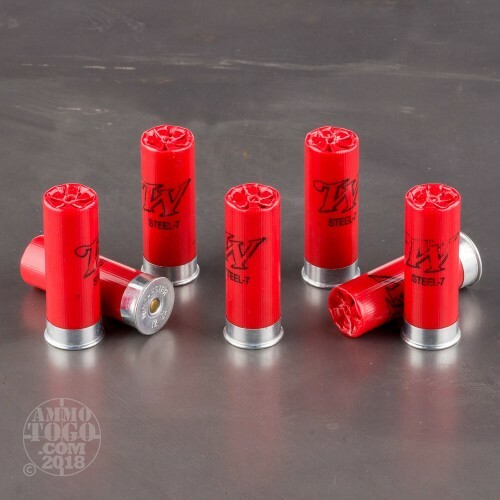 With a 2-3/4 inch shell length, these rounds are optimized for use in top tier sporting shotguns but also compatible with the widest range of fowling pieces. 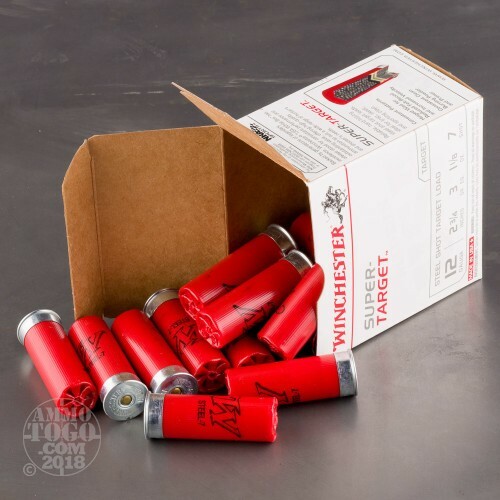 Each shotshell contains 1-1/8 ounces of #7 size steel shot which is appropriate for use at lead-free clubs and will shatter clay pigeons at typical distances. The shot pellets ride atop a hinged wad that helps cushion recoil while capturing propellant gases at its rear for efficient muzzle velocity. 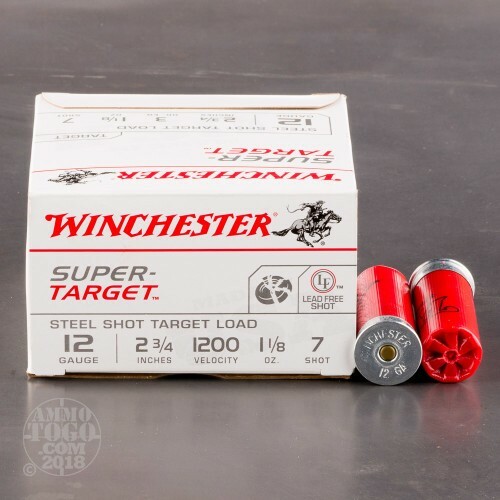 Winchester, one of the most trusted names in American shooting, manufactures their shotgun shells in the United States. Their components are made in house using the same proven powders and reliable primers which they have sold to other ammo companies and private citizens for decades. Winchester's drive to innovate and evolve combined with their desire to serve shooters of all disciplines has resulted in a varied product line that answers nearly every demand with quality and notable performance.